Touched by the story of Kasimu Kapatile Wasi who is unable to attend classes at St Charles Lwangwa Secondary School for lack of school fees, Andiamo Education Institutions (AEI) office has paid the school fees so that Kasimu goes back to school. The AEI office has used part of the money that was set aside by Fr. Mario Pacifici, the founding trustee of Andiamo Youth Cooperative Trust (AYCT), to help the floods victims. Kasimu has also received exercise books. 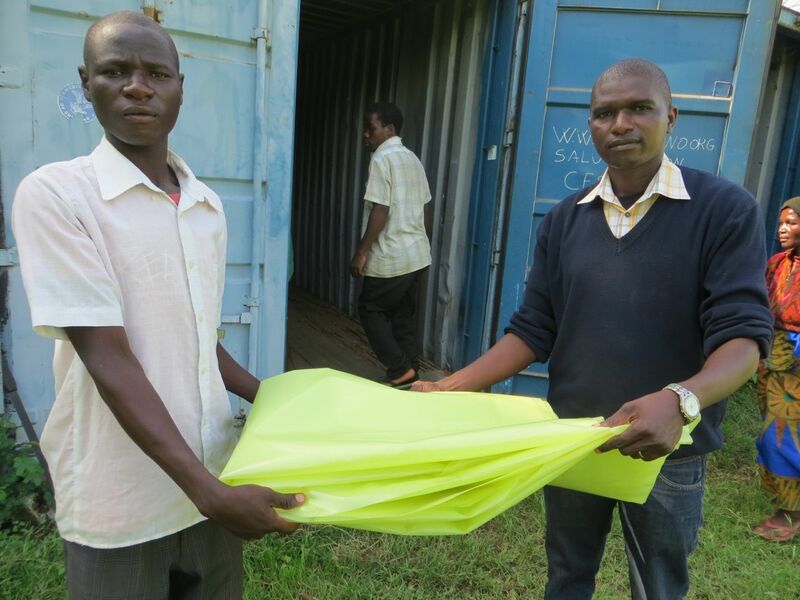 Meanwhile, AYCT has also given him a plastic paper that he can use to roof his hut. Kasimu is an orphan (he lost both his parents) and has two brothers whom he as sent to distant “poor” relations to take care of them. Half of his hut fell down due to heavy rains and all his belongings are exposed and therefore not safe. Kasimu hails from Lupanga Village, a village that is making boundary with Andiamo to the South. This entry was posted in Education, News from Malawi and tagged Andiamo Education Institutions, Andiamo Youth Cooperative Trust, Fr.Mario Pacifici, Orizzonte Malawi Onlus. Bookmark the permalink.